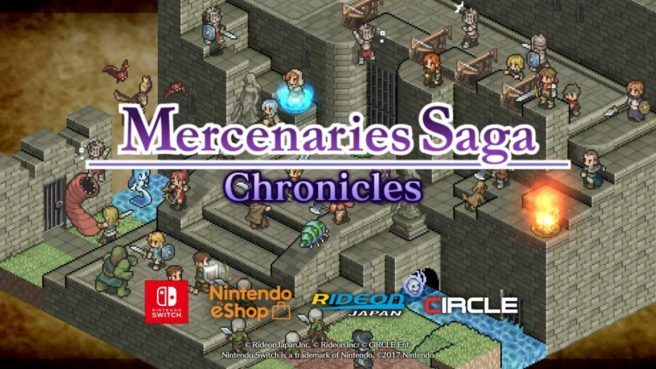 Following its initial release on the eShop in February, Mercenaries Saga Chronicles is now receiving a physical release. The new boxed version will launch this summer, PM Studios and acttil announced today. Mercenaries Saga Chronicles features three different games that previously came out between 3DS and mobile. Additionally, some new features and elements are included on Switch. All of the games offer tactical turn-based strategy RPG gameplay. Continue on below for additional information for Mercenaries Saga Chronicles, along with a trailer. ▪Your Fate in Your Hands! – A massive campaign featuring over chapters will keep you busy for hours! But play smart – your decisions will guide story routes and endings!